It’s been a full week at airports across the country! Muhammad Ali once said his “greatness came and stared in Louisville.” Now the name of the legendary boxer and activist will be among the first things visitors and travelers see when arriving to his Kentucky hometown. 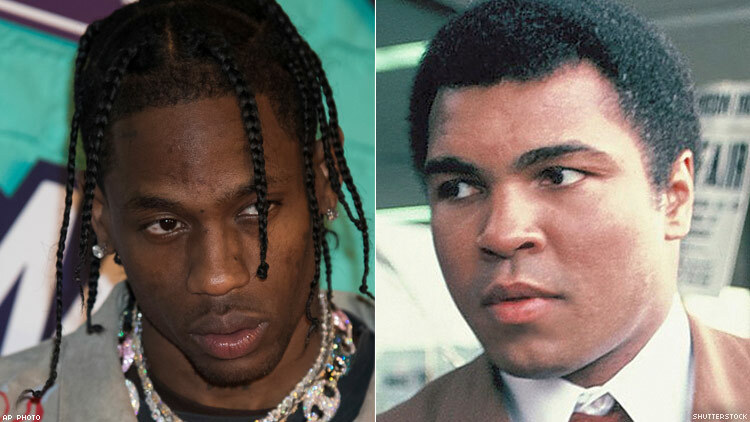 City officials announced on Wednesday that Louisville International Airport will be renamed the Louisville Muhammad Ali International Airport. "It is important that we, as a city, further champion The Champ's legacy," Fischer continued. "And the airport renaming is a wonderful next step." The champion and humanitarian is often called “the Greatest” and the original GOAT (“greatest of all time”). But name changes aren’t the only thing happening in airports lately. Jen Juneau of People reports that in the recent week, passengers at New York’s JFK airport have reported hearing TSA agents blasting explicit, uncensored versions of rap songs from artists like Travis Scott to Kayne West over the loudspeakers. Airports across the nation has been hit hard by the government shutdown. Many employees have called out sick, unwilling to put in time for zero pay. Those who have shown up…are trying to make the best with some interesting music selections. As Business Insider points out, “Sicko Mode” by Travis Scott and Drake has been prominently heard as has “Lift Yourself,” the “musical poop joke” song from Kanye West. Other tracks from Beastie Boys and Ludacris have also apparently been in rotation. “Knowing that our man Kanye’s masterpiece poop diddy woop scoop was blasted through jfk airport by tsa today at 6:30 AM IS THE FUNNIEST THING IVE HEARD,” one Twitter user wrote on Thursday, referencing the bizarre lyrics on West’s track. Due to President Trump refuses to abandon plans for his xenophobic border wall, the US has entered day 26 of the partial government shutdown, which is officially the longest shutdown in the country’s history. As a result, an estimate of 51,000 TSA agents are the among over 800,000 of federal workers are still waiting for their paychecks.